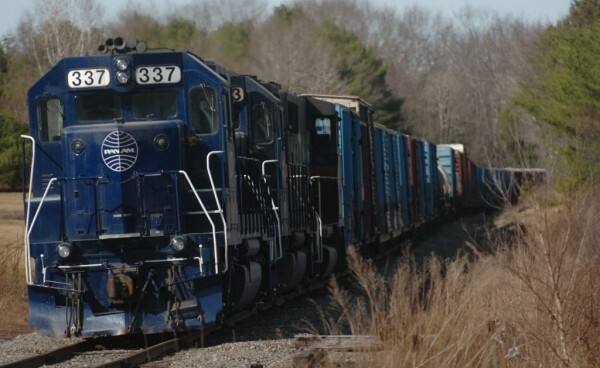 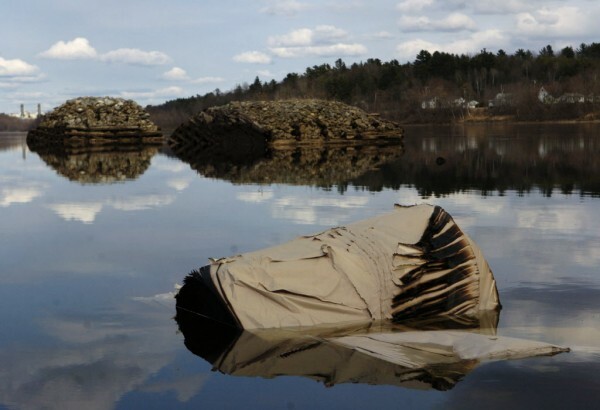 A large roll of partially burned paper came to a rest a few hundred yards downriver from the Maine Central Railroad rail car derailment along the Penobscot River in April 2006. 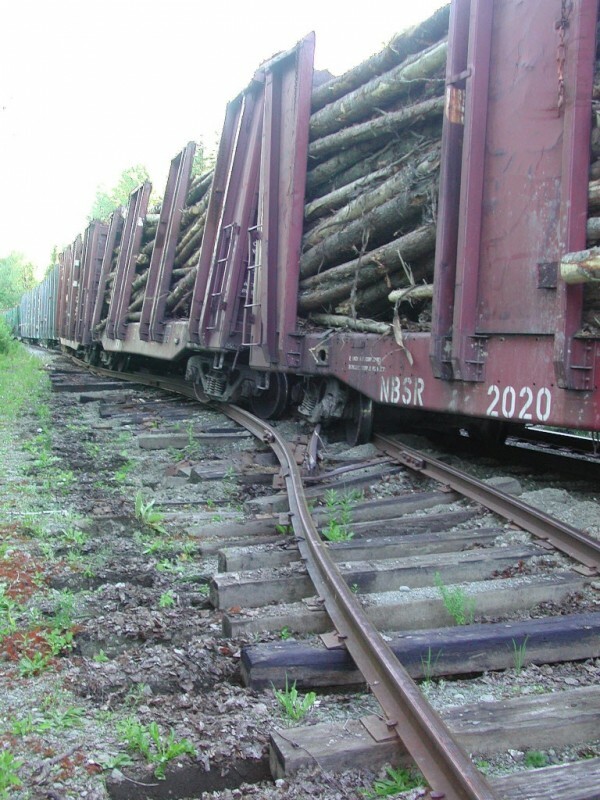 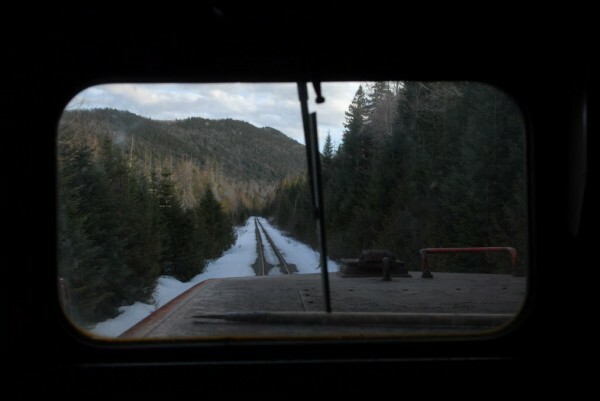 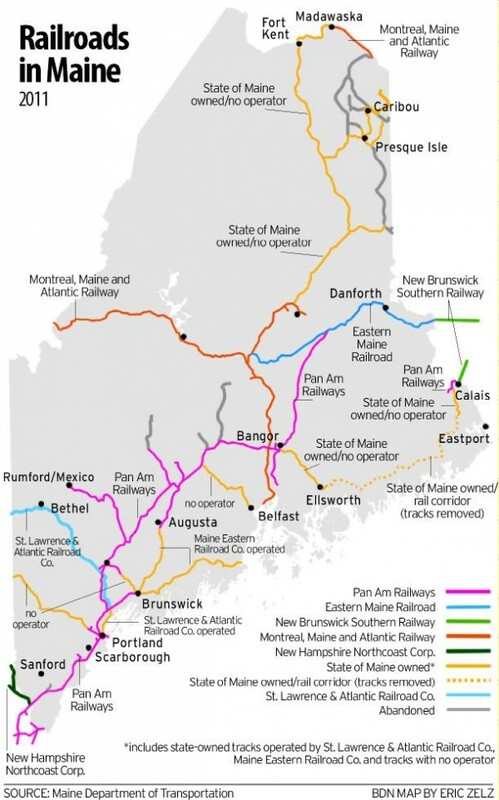 This fractured "frog" on Montreal, Maine & Atlantic Railway could be seen in front of one of the railway's trains as it made a stop to pick up more freight in Masardis in 2010. 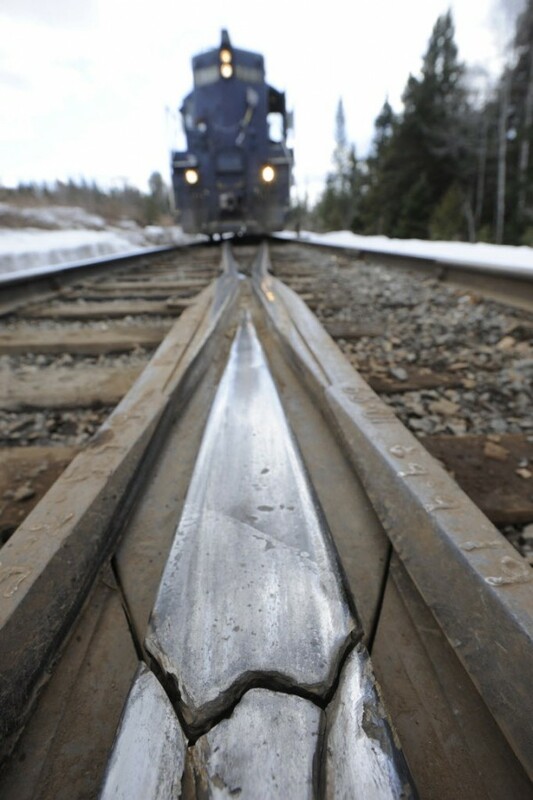 A frog is a railway switch that enables trains to move from one track to another at a railway junction.